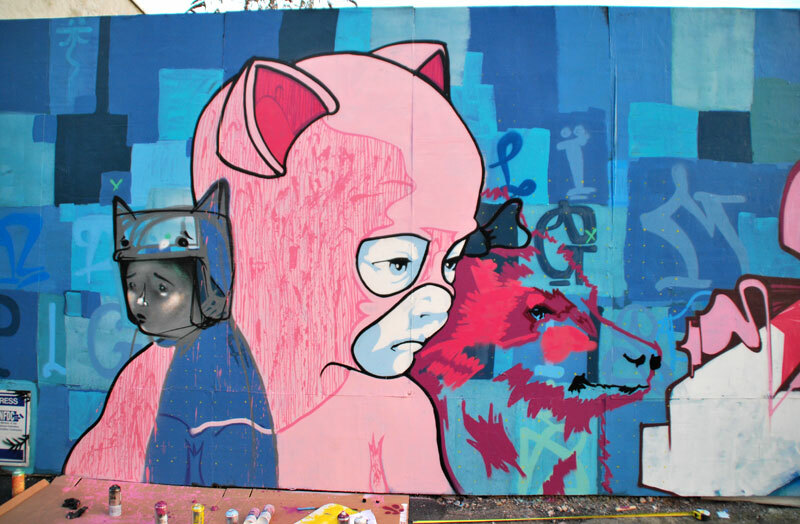 Stokes Croft has long been a haven for artists. 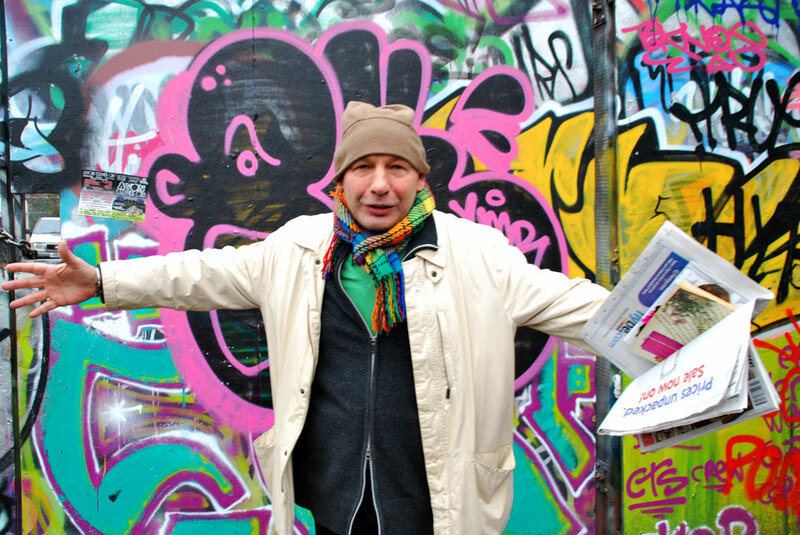 There has long been a thriving graffiti/Street Art community. 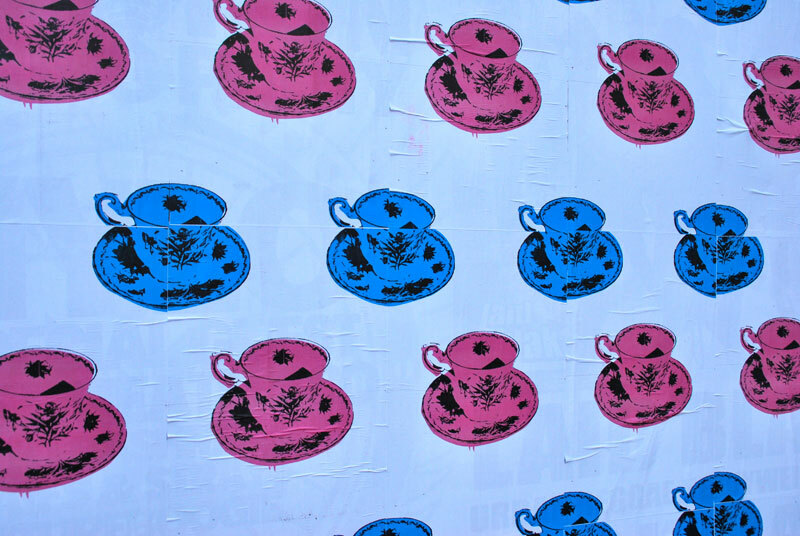 Following many battles with the forces of darkness, Stokes Croft is embracing street art as part of its heritage. 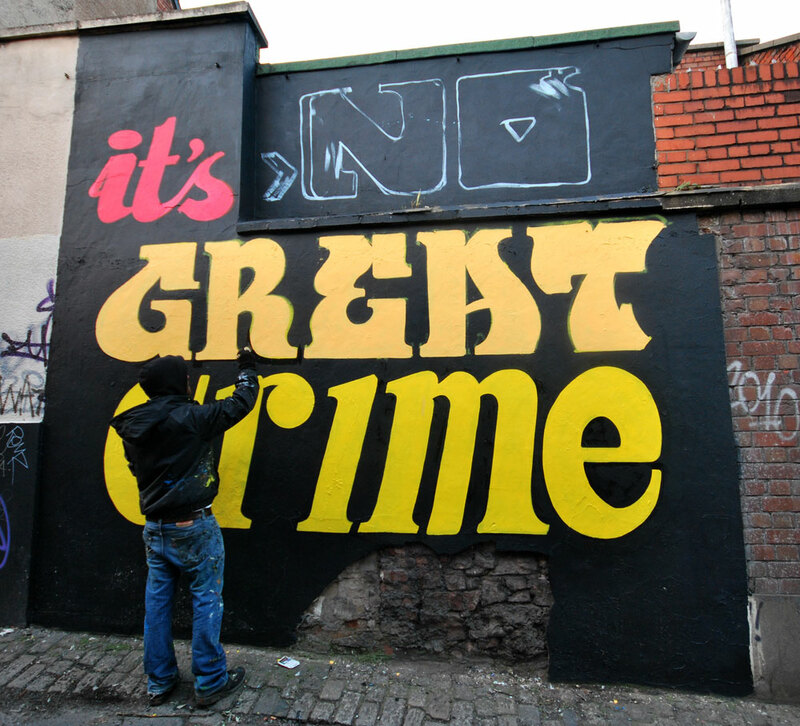 Paris works on “It’s No Great Crime”, a homage to the 3D piece painted on the same wall in the early1980’s. 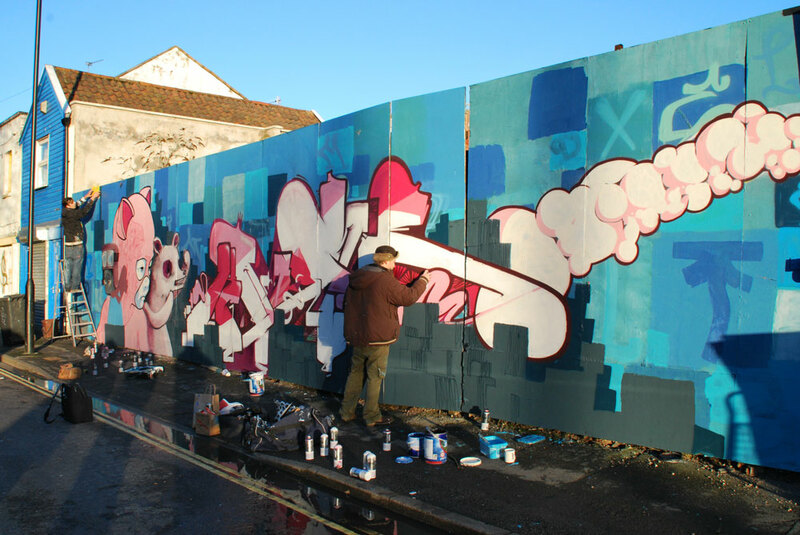 Ryan and Max work on a production by the Dove Street Flats. 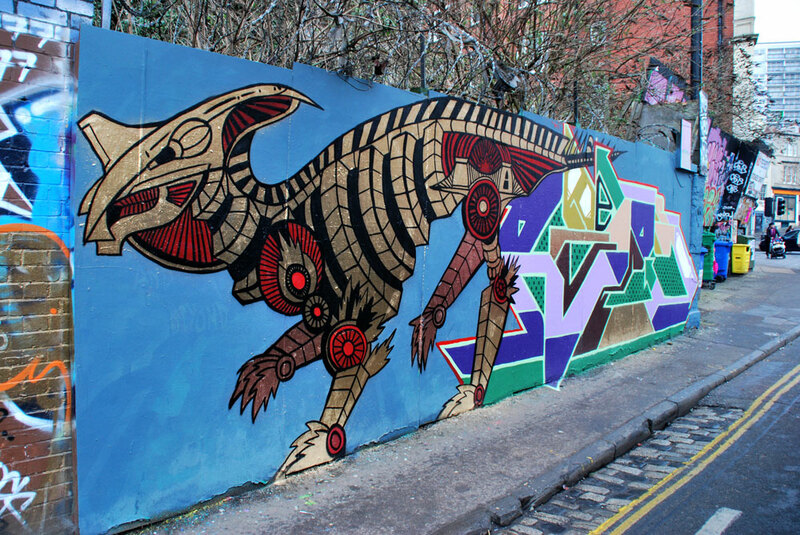 Andy Council Dinosaur collaboration on the Practice Wall on Ashley Road. 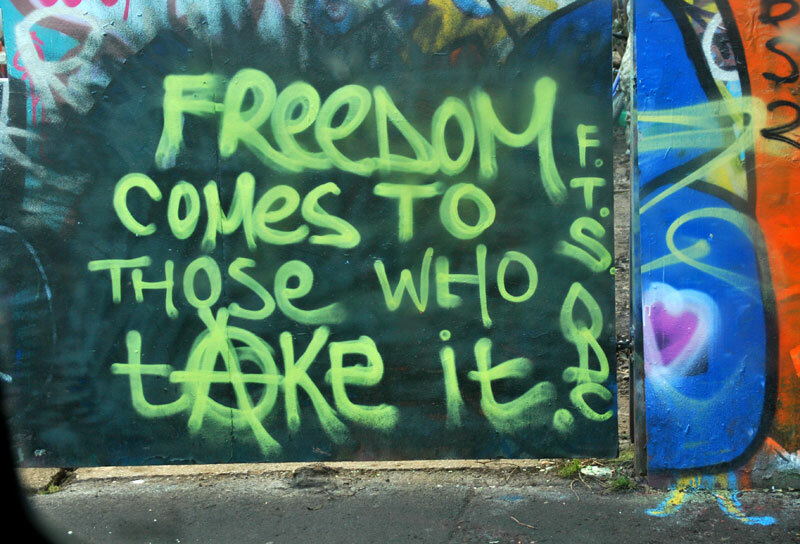 Political expression is welcome and to be encouraged. Sunday Morning on the Croft; A Riot of Colour. 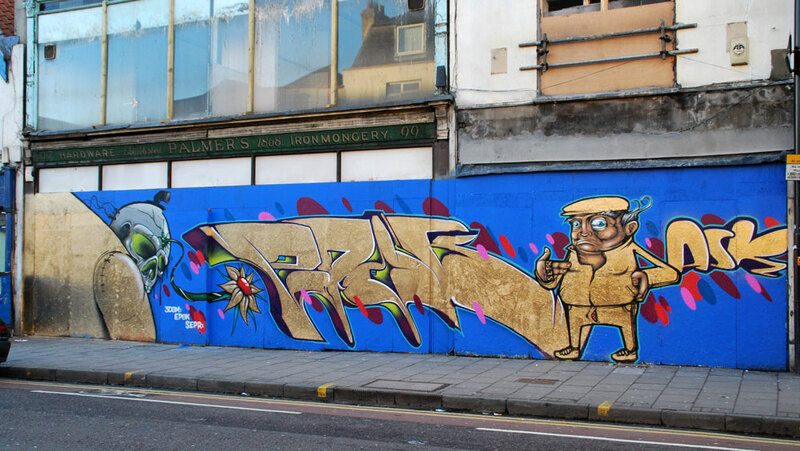 an ever changing wall on Stokes Croft.